With its wonderful weather and beautiful coastline, Laguna Beach has long been one of Southern California’s premiere tourist destinations. If you’re visiting Laguna Beach, note the city is home to a variety of resorts and other hotels that will meet the needs of any traveler. Over at USA Today, they picked out some of Laguna Beach’s best accommodations based on the purpose of your visit. Whether it’s for a luxurious retreat, romantic getaway or just a little family fun in the sun, Laguna Beach has you covered. 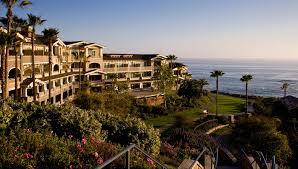 For the luxury traveler, USA Today recommends Montage Laguna Beach. This Craftsman-style hotel was named the “Best Resort in Orange County” in 2012 by the Orange County Register. Some of its main attractions are its dramatic views of the Pacific Ocean, the locally-sourced cuisine and even an oceanfront spa. Also recommended in the luxury category are the beach-front Surf & Sand Resort and the Aliso Creek Inn, which sprawls across 80 acres in a canyon setting and features a nine-hole golf course. If a little romance is what you’re seeking with your visit to Laguna Beach, USA Today recommends the Hotel Laguna. It was originally built in 1888 and has long been a favored spot of the rich and famous. The 65-room Hotel Laguna has kept up with the times, however, and its private beach and beach club provides a wonderfully romantic setting. Other options for a romantic getaway in Laguna Beach are the Casa Laguna Inn, which was recently rated one of the top 10 most romantic hotels in the United States by TripAdvisor; and the Carriage House, country-style inn that dates back to the 1920’s. For families ready to vacation in Laguna Beach, there are several options available. That includes Arabella Laguna, which garnered the top choice from USA Today because of its “home away from home vibe.” There are six large suites on the property, as well as one cottage. All of them include full kitchens, which the report points out can ease the burden of many families on vacation, especially during the hectic breakfast time. Other family-friendly options in Laguna Beach includes La Casa del Camino and the Sunset Cove Villas. Finally, for those travelers on a budget, USA Today recommends the Best Western Plus Laguna Brisas Spa Hotel and the Holiday Inn Laguna Beach. A visit to Laguna Beach is never particularly cheap given all it has to offer, but those accommodations are reasonably priced and a good option for those not looking to break the bank.